When you’re thinking about basic marketing strategy for a lead gen account, you should think of it as a two-part process. The first is how to get the right people to your site, and the second is how to turn those people into customers once they get to the site. People generally focus too much on the first part and not enough on the second, although it’s arguably more important. If you’re investing all that money into getting qualified viewers, you should have a plan of what to show these people once they land on the site. 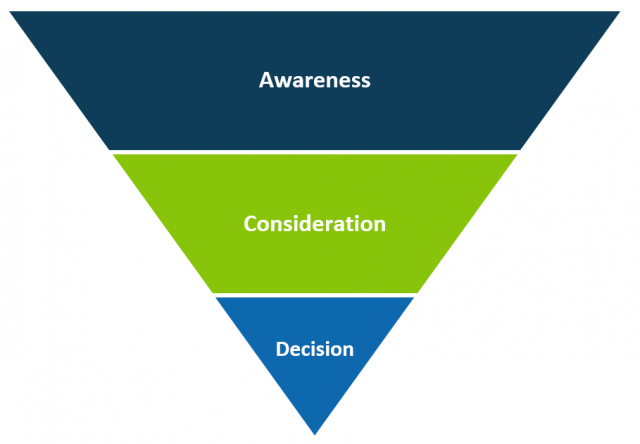 Let’s break down the funnel into three stages: awareness, consideration, and decision. Each portion of the marketing funnel represents a different audience and should be met with suitable content to fulfill their specific needs. One of the most common mistakes companies make is using the same content for each stage. In the awareness phase, you’re likely paying for display buys, top funnel search keywords, and Facebook and/or LinkedIn prospecting. You’re trying to reach the most “qualified” audience that fits a certain profile and educate them on a specific topic. Why should someone care to learn about your product? What pain point are you addressing with your product? What do industry experts say about it? The answers to these basic questions should help guide your content creation for audiences in the awareness phase. Depending on how far up the funnel your strategy is, your content can also be vendor-agnostic. The ultimate goal here is to educate, inform, and keep the audience wanting to learn more. Next, you have the consideration phase. After getting people to pay attention to your product or industry in the previous phase, you want to win those people over as customers. The audience in this stage can vary in terms of their knowledge. Thus, this stage requires the most content creation. 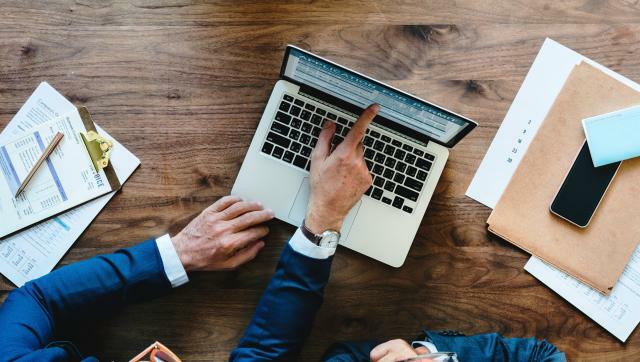 For those who just learned about your product and are seeking more information, you need to meet them with more information such as industry best practices, solutions’ briefs, or buyers’ guides. Then, for those who are further down the funnel and considering a competitor, you need to meet them with a competitive analysis. Competitor traffic is extremely valuable because it’s more qualified traffic. Your competitors paid to educate this audience so all you need to do is to win them over. The competitive analysis chart is arguably the most sought-after content, yet it’s also the rarest to find. You can’t just drive traffic to your homepage and expect the audience to become your customer. Lastly, you have the decision phase. By this point, you’ve already done all your work and spent a large amount of money to get a stranger to the ticket office. This stage is really tricky because it tends to be the least maintained or have the least tested pages on the site. Here’s your wakeup call: if you don’t provide your audience with an easy and seamless process to contact your sales team or sign up for a free trial, they can and likely will head elsewhere. Content generation is challenging because it needs to be refreshed, it takes a lot of manpower, and most companies just don’t have the resources. However, just like you would never consider driving traffic to a 404 page, you shouldn’t drive your hard-earned qualified traffic to just any page on your site because the audience will bounce if they don’t like what they see. You don’t need a fully stacked content library but at least four to five core assets that are well crafted to suit the needs of each audience. It’s definitely worth the investment. Need help creating audience-segmented content? Contact us to learn more.